Are car headlights getting brighter? Ask around, and you’ll find it’s a common grumble among anyone that drives, especially those that frequently take to the road first thing in the morning or at night. They’ll tell you that on an unlit road, especially one with crests or undulations, oncoming traffic can leave them feeling as if they can’t see. During the winter months, the problem is exacerbated. Fewer daylight hours mean cars spend more time with their lights on. And the latest technology on modern cars has introduced superior lighting power to even the average family car. While that’s great for any driver of a car with powerful lights, it’s not so safe for drivers of oncoming vehicles. They can find themselves blinded by the brilliant light from the latest systems. Is there anything dazzled drivers can do? And will headlights continue to get brighter? It’s a fact that car headlights are getting brighter. The motor industry is continually boasting about how it has improved lighting performance, to keep drivers safe. Meanwhile, eye specialists say the downside is that this actually impairs the vision of increasing numbers of drivers in oncoming traffic. At the same time, as drivers age the eye’s lens and cornea effectively become misty, and as bright light in shone through them, drivers suffer something called ‘disability glare’. Studies have shown it can take up to 10 seconds to recover from the phenomenon. According to police data, accident investigators report ‘dazzling headlamps’ as an influence in 10 fatal crashes, nearly 70 serious accidents and more than 250 other accidents. Given the improved performance of bicycle lights, they can be just as dazzling for oncoming traffic. Especially if the rider hasn’t correctly positioned the light to ensure the light beam isn’t in the direct eyeline of oncoming drivers. Is there a quick fix for drivers? Happily, there is. Professor John Marshall, of University College London, says anyone can buy and use special clear glasses, even if they don’t need prescription lenses. These have a coating on the lens to absorb ultra violet light and prevent glare when driving at night. They are relatively inexpensive, from £10, and any optician will be able to advise what best suits a driver’s needs. If your car’s windscreen is dirty, either on the inside or outside, the dirt will cause light to refract, making it harder to see where you’re going. It’s also important to ensure your car’s headlights are correctly adjusted and the bulbs aren’t aged with use. And don’t forget to take an eye test regularly – at least every two years, according to optometrists. What are car makers doing? Ford is going to great lengths to make its latest family cars safer for owners and other drivers alike. 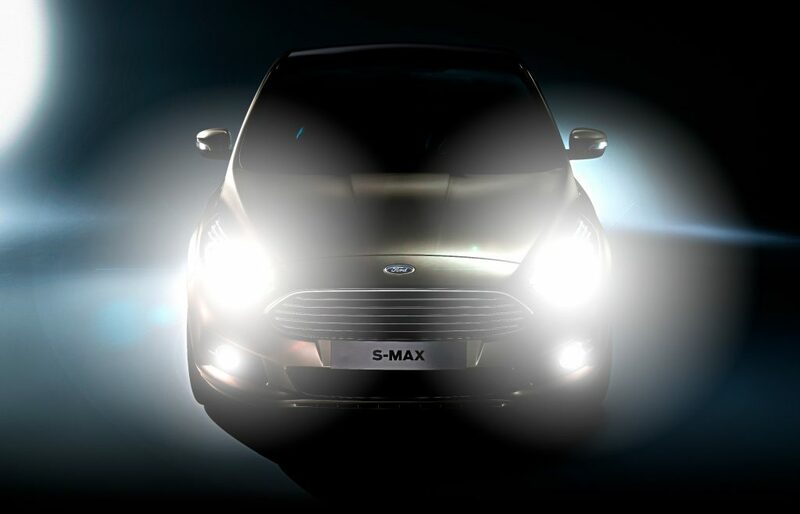 Its new Glare-Free Highbeam adjusts the headlight beam angle and intensity to one of seven settings according to speed, ambient light, steering angle, distance to the vehicle in front and windscreen wiper activation. Find out more about it, in our earlier blog post. Other mainstream car makers are developing similar systems. However, as anyone who has used them will know, they aren’t foolproof. Traditional halogen bulbs made way for brighter Xenon, or high intensity discharge (HID) lights in the early ‘90s. BMW first fitted the system to its 7 Series flagship. It was widely praised by users for the brightness of the light and associated reduction in driver fatigue. The bulbs also lasted longer, for around 2000 hours. First fitted to the Audi A8 luxury saloon in 2004, engineers and designers alike prefer to use light-emitting diodes (LEDs) when making modern cars. That’s because they use less power than Xenon units, give more freedom for styling the body parts, as they’re so compact, and the light produced is bright. There are other advantages. The light can be manipulated, such as when adjusting the pattern of the full beam to allow for oncoming traffic or pedestrians. And they are claimed to last for comfortably more than 5000 hours. If you thought LEDs were bright, think again. 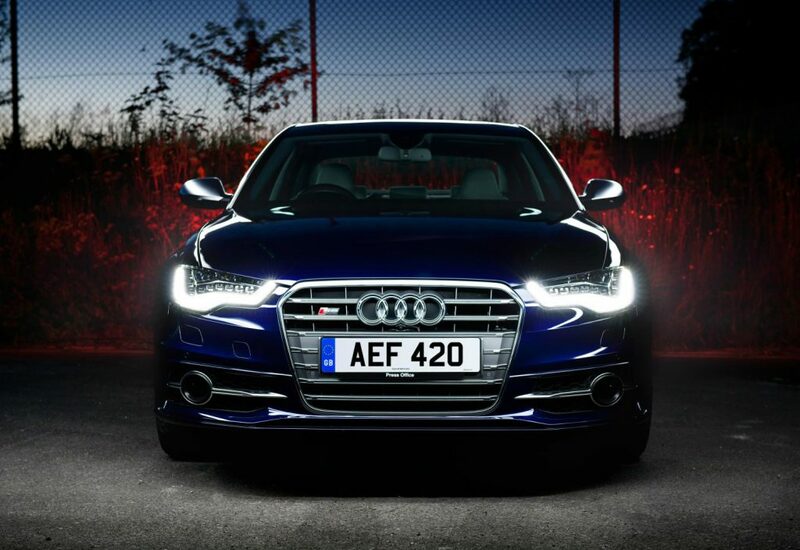 Audi was the first car company to fit laser lights to a car, in 2014. The technology sounds like it belongs in a Star Wars movie. But high-intensity laser diodes are fitted to the Audi R8 sports car and light the road ahead when the driver selects the main (full) beam pattern. The laser system is claimed to offer twice the range of even the brightest LED. Its laser diodes create a bright blue light that has to be filtered by phosphor converters to make it white and harmless to the human eye. In the future, Audi engineers hope to combine laser lights with driver aids to help pick out pedestrians, project graphics – to help indicate the width of the car – or pick out road signs. If accidents have been caused by these ridiculous headlights I would have thought there would be a case for taking the vehicle manufacturer to court! Make your voice known Green Flag and get the vehicle manufacturers to re-call these dangerous models to change the headlights. I agree! Recall the blinding lights and replace them with halogen! Totally agree. LED is the same exact diodes used for illegal laser pointers. Yet some schmucks decided to hook them up to car/truck batteries and try to blind people with them. This wasn’t by accident, no one is that dumb. We have crazy doctors too and we have crazy cheap junk from China imported. Now we have crazy automobile manufacturers that don’t have a clue. I agree entirely. Isn’t this something the EU shjpould be sorting pout? Why put this on the EU? We do not need nurse maids, we just need action from our Minister of Transport and Parliament. They could make it law that all headlights should sense oncoming lights and dip automatically. not really cause most domestics are just as bright especially any ford or chevy truck and honestly its ridiculous im getting to a point now where im just almost considering just leaving my high beams on all day since i have a 2002 mazda and see how other peole like being blinded in they’re rearview mirrors and oncoming traffic. And honestly we dont need bright lights for safety we need better drivers aka strict driving schools, maybe learn to drive manual before you get on the road like other countries with way lower accident ratings. It’s mostly people 16-35 that are driving around and they are so dumb in those age groups and have no “taste” what so ever, so they don’t even care. They probably think it’s cool to damage peoples eyes and try to blind them with these hideously bright white Diodes. Surely it is illegal to dazzle other drivers, so vehicle manufacturers must take the blame. Drive often at night time, The car or van behind,even on dipped beam floods my car interior and reflects in my wing mirrors ,I have been made to slow down and wave the vehicle past,surely again these lights are breaking the law. My MOT tester would not pass them. It’s not really the alignment. It’s just the diodes them self. Also the bright compact white. It’s literally brighter than the sun. The actually light they put out for the driver to see on the road is dim and a black and white color. The tech is flawed in so many ways. Don’t forget that vehicles don’t need an MOT until 3 years old, so they’ll be driving around dazzling everyone until then. Well done Alan, I couldn’t agree more. Many front indicator lamps are invisible when the headlamps or Daylight Running lamps are on – rubbish design. This is both dangerous and causes unnecessary congestion/fuel waste/emissions waiting for vehicles to pass when in fact it’s turning off etc. What are the DVSA there for? It’s about time they started earning their money. In contravention of the Highway Code. Also badly taught by driving schools. Totally agree stupid design ,surely these cars would fail the MOT. Not only causes confusion at night time, day time driving lights are brighter than the indicators.Been caught out a number of times on mini-round abouts. I wear glasses with anti glare lenses but still have problems with car headlights and even more so when it is raining. What is the answer to that problem? I try to drive behind another car so he get’s most of the problem with the oncoming traffic! Recall of all cars fitted with these driver dangerous lights ! If these drivers of cars with these lights cannot see at night , they should not be driving at night ! I think the introduction of dipped headlights in towns and cities was a mistake. So much light, especially on wet days, washes out any detail around the vehicles. They should have scrapped the 5 watt side light and increased it to 21 watt. Also, people replacing bulbs and not fitting them properly. Interesting information. I am in my 60’s and I don’t like driving in the dark now because of oncoming dazzling headlights. I wear glasses with anti glare for driving which helps a bit but I still find I am being dazzled by these bright headlights and when it is wet it is much worse. I feel it distorts things when wet and I cannot judge distances as I should. Unfortunately it is impossible not to commute when dark. I agree with Alan Eastman’s comment, even in daylight on a wet dull day if drivers have their lights on it’s hard to make out in some models if an indicator is being used. I have long thought that the new bright white lights are dangerous – both on cars and bicycles. Bright red cycle lights are equally dazzling. The flashing/pulsating setting on cycle lights just compounds the issue further. It’s impossible to see beyond these lights, which makes night driving increasingly hazardous. The sooner these types of lights are outlawed and replaced the better. What ever happened to the “Don’t Dazzle Dip Your Headlights” campaign?? This should be brought back. Just by ensuring your headlights are set to “dip” can stop the glare from going straight into the eyes of drivers on the opposite side of the road. I have never seen a cyclist who’s lights have been adjusted so they don’t dazzle cars/bikes/pedestrians coming in the opposite direction. Rather than the lengthy and expensive way of taking manufacturers to court simply bring back an updated “Don’t Dazz/Dip” campaign?? Thanks for the info that highlights a common experience, this is set to get worse even for a pedestrian that may be “picked out by approaching vehicles”. The best approach is surely the liberal use of the most efficient reflective materials to inform the driver of a blinding situation. Even if the driver is blinded by their own lights. I do agree that modern headlights are a hazard and motoring organisations should put pressure on manufacturers to reconsider their use or at least put some effort into making them safer. I also agree with the comment about including indicator lights in the cluster and them being invisible by comparison. I have had a near miss because of this. Style shouldn’t override safety considerations. Thanks for all the information, which is so informative. Having all these fancy lights is all well and good, but there are an increasing number of drivers on the road with both a headlight and sidelight not working. Highly dangerous when coming up behind me but far worse coming toward me as it appears to be a motorbike. I wonder if drivers actually check their lights reflection in the bodywork of the vehicle in front. I have a pair of glasses for driving at night and find them very useful especially in the wet when these high powered lights reflect and dazzle. Another problem i find is when one of these monsters is behind you and the glare is lighting up your car and reflecting off your mirrors. A passing car on the other side of the road is a matter of seconds, one behind you can be there for miles. As in many areas of road traffic regulation, enforcment has been scaled back over the years, and many vehicles have badly adjusted headlights, or have been left on continental settings. Also, cars are quite often parked, albeit for short periods when un/loading, facing oncoming traffic with headlights still switched on. It only takes a second to dazzle. I think a lot of motorist are fitting illegal road lights, some of which are 100 watts, way above the legal 55 watts. I AMA amazed st t(e number of cars, some fairly new, with only one working headlamp. Rear fog warning lights on when the road is wet but not foggy are, in my view, worse than front bright lights as these pass I. A moment whereas it is often difficult to pass someone on many of our roads. Agree totally with the comments above This has been a menace for some time now. WHY are manufacturers allowed to produce cars with VERY bright & dazzling headlights and obscurely positioned indicators? As a driver of 35+ years, I instinctively look at the outer “corners” of a vehicle for the indicators. Legislation should dictate maximum brightness levels for headlamps and that manufacturers position the indicators on the outer corners of light clusters. I have even been dazzled by daylight running lights on some cars – which are often so bright, drivers forget to put their headlights on when it goes dark!!!! Ridiculous. My Husband and I have been complaining about these bright headlights for some time, my Husbands pet hate is when drivers leave them on when they are parked up – especially on the wrong side of the road. If optometrists can put a clear anti glare coating on glasses, then why do windscreen manufactures as it is relatively cheap, not use the same technology? or the motor industry insist that the do? If this happened there would not be a problem with high brightness lighting. In addition to very bright head lights, why do so many drivers also use their fog lights when there is no fog. Don’t they realise how dazzling they can be to oncoming traffic ? Chris, drivers that leave their fog lights on, be they front or rear, when not in foggy conditions are breaking the law. I find the headlights on Range Rover models dazzling, especially from behind on the motorway. They seem to be mounted very high on the front of the vehicle. The law states that the legal wattage of a conventional bulb should be no more than 55w these new lights are the equivalent to 150w or more and produce an almost white light but are rated as lower wattage just more efficient. They should be illegal but the loophole exists and will be exploited just as screens are being used in the front of cars instead of normal controls. I see no reason why in a city, which is well lit, why one has to use these Qh lights, do the owners of these vehicles have bad eye sight, in that case, that should not be driving, or is it by their nature to show off, and annoy other drivers with their blinding lights. In respect of the manufactures of these lights, what were they were thinking of, did they research the effect of these lights on other drivers. I drive a 1991 Volkswagen Golf Driver II, my lights do not blind any other driver, they are sympathetic to other drivers on the road, and are suitable for any weather and road conditions. Yes i am increasingly finding that car head lights are more and more dazzling. I thought it was just me and that it was as a result of the aging process! While getting older may not help I have found it interesting to know that car manufacturers are making cars with so called improved head light systems for the driver. This does not help the driver that is dazzled by these lights and it has decreased my confidence for driving at night , especially in unfamiliar places. Please Green flag please pursue this matter. When I lived in France in the early 60s the French had yellow head lights which reduced glare dramatically, why don’t we go back to this system as it did not seem to reduce the lights ability to allow us to observe the road ahead. The yellow lights were introduced during the Second World War to distinguish French vehicles from German ones. Very good article on light dazzle but equally annoying is the lack of handbrake use at traffic lights etc., The high level stop lights are a great contribution to road safety whilst on the move but are extremely uncomfortable to sit behind particularly on a wet night ! . Perhaps the problem is predominantly caused by automatic vehicles ? . It would be nice if people resumed the use of the handbrake again when stopped at , say , traffic delays ?. Has the motor industry stopped fitting mud flaps? In wet weather or if there is standing water on the road driving becomes hazardous when following large vehicles that throw up clouds of spray which can then be exacerbated by oncoming traffic with the over bright lighting. Why oh why are motor manufacturers not making safety for road users their priority rather than adding ever more gadgetry to their vehicles. They should be held responsible. Amen to everything you have said Bobbie. Comes to something when you feel you need to wear sunglasses to drive at night! I also think it is time to force manufacturers to THINK before they add more unnecessary lighting to cars. So many valid comments! !.– The greatest is for the driver to remember he is in control and responsible. To lift a finger to use the Direction Indicator seems beyond effort or worth to so many these days. Lots of excellent points made in these comments … I totally agree that the 55W law needs to be amended to restrict brightness. But no-one has yet mentioned the fact that headlight beams can these days be adjusted by the driver – and I suspect that many drivers have their lights on “maximum height” to make the beams show more of the road ahead. I thought there was a law about this – it seems to be ineffective! I agree with all these comments and am suprised that led headlamps were allowed in the fiest place as they have exceeded the lighting regulations. Bicycle led light are very dazzling and there should be legislation regarding the fitting and aiming of them. The law was I believe that it was main headlights 55/65 Watts with incandescent bulbs with a color temperature of 3000K, light is measured in lumens and modern HID and LED run at about 6500 K effectively twice the colour and much brighter in lumen power for less wattage so effectively the law as was has been bypassed,I wrote to MOT and they are doing a review this year but don’t hold your hopes up.Years ago in FOG you switched OFF your headlamps and ON the fog lamps ,no back glare as you we’re looking on top of the light beam,now we get the cars with DRIVING lights so they have 4 lights on the front increasing light pollution.need I say more,yes drive a bit slower in the dark and keep to existing lamps or alter the colour temperature of the led’s, it can be done. More eurotrash! The comments about handbrake are very valid but it is the modern trend for them not to be fitted on new models and have ‘automatic’ ones instead. An added problem for those of us who suffer from migraines is that very bright headlights (especially the horrible very blue/white lights) are known to trigger migraines in some people. The Migraine Association has been trying for years to get someone to address this issue. When I was a child, of around 9 or 10 years old, I was a weekly boarder at a boarding school some 15 miles from my home. My parents would come in the car on a Friday evening and bring me home for the weekend, taking me back to school on the Sunday evening. The first stretch of road from the school had the 1950s yellow sodium street lights, while the second had bluish-white lights. The yellow lights gave me a bad headache, to the extent that I sat in the back of the car, shut my eyes and hid from them. Once we were in the bluish-white light area, I would emerge and enjoy their effect on my brain. Having been involved in photography for most of my life, I have become aware of “warm” and “cool” colours. The yellow lights would have been warm, and the bluish-white ones cool. As I became a teenager, the bad effect of yellow street lights faded. My maternal grandfather would take to his bed with migraines. As well as the bright light problem some people seem to try and counteract it by driving around with their headlights on full beam, even in built up areas near me. A quick flash of my lights seems to get a responding dip of the oncoming vehicles lights. If these people cant see to drive in the dark they should not be on the road, otherwise have some good old fashioned common road courtesy, before they cause an accident. I recently passed a cyclist with a bright flashing rear light – no problem there: it immediately identified him as a pedal cyclist. But when I stopped for red traffic lights, as he caught up the beam of his equally bright white headlight hit my right door (NOT wing mirror) and blinded me. I had to shut my eyes and wait until the effect of the glare had subsided before driving on. In doubt if the cyclist was aware of this dangerous effect of his front light. I have not seen so many responses to a Green Flag topic before. So these light problems must be very common. A friend has a new BMW that sets the angle of the light beams as soon as he starts the car, assuming that the car is on a level stretch of road or driveway. Another bit of dangerous modern gadgetry . I have two cars. One is a 26 year old Land Rover Defender with very weak headlamps which won’t dazzle anyone ever. Downside is that on the country roads in the area where I live I can’t see much at night. The car has just passed its MOT without any advisories, so they must be legal. My second car is a new large BMW which has very bright adaptive lights. It also has an auto dim switch so I have never been flashed. It dips one or both lights depending what is in front, how well the street is lit – if at all. I was being followed by a London bus, the lights of the bus were level with my rear and side mirrors. I could not look in my mirrors because I was being blinded by the intensity of the lights, I had to fold my wing mirror in until the bus was no longer in my view, In my opinion, this is a very bad and dangerous design fault, which London Transport should be made aware of. Isn’t there independent safety testing of all these problems caused by the latest lightning technology? And the manufacturer’s brought to book. Perhaps a campaign by independent motoring organizations and a online petition is in order, looking at the number of responses on this issue I think there would be plenty of signatures. I really don’t get the need for brighter and brighter headlamps – all it suggests to me is the need / want to drive faster in conditions unfit for that want / need by those who use them. That selfish need is put before the use of the roads by others more vunerable using the roads who become even more vunerable because of the use of these bright headlamps. Headlamp alignment is part of the MOT test to ensure oncoming vehicles are not dazzled or blinded by your dipped beam. Cannot the same test be done to new cars before they are sold? As I have said, my neighbour friend with a 67 plate BMW tells me that after leaving his sloping driveway he has to stop on a level stretch of road, turn the ignition off and then on again for the headlights to set themselves at the correct level. Otherwise they are set far too high because his driveway slopes down towards the road and he – rightly – always reverses into the driveway. Were he to drive forwards into the driveway then reverse out onto the road, then the headlights would be set too low! He can’t win. Yes, lights on modern cars are far too bright but it’s not just cars. I have a problem with white LED street lights. I find them dazzling when passing underneath or reflecting off a wet road. When driving in unfamiliar areas, especially on bends, I see a white lit patch of road, I think it’s an incoming vehicle and have waited before overtaking parked cars only to find its one of these LED street lights. I’m all for energy saving but couldn’t the manufacturers use an amber tint as this has a less detrimental affect on night vision? I’ve also seen drivers use just the LED running lights at night. Don’t they realise that their rear lights are not on? Good to see someone make a topic about this. I drive an older car myself. My headlights aren’t bright, but just bright enough for me to see and not bright enough to go blinding oncoming traffic. It’s only good for the people who are driving said car, otherwise it’s bad for everyone else. I really can’t count the times that I’ve almost wrecked my car because I can’t see the road because someone’s headlights are wayyy too bright. Lots of these vehicles are being made for selfish reasons, all things that can help the driver…but hey, who cares about the other drivers on the road. And I got to buy special sunglasses because of them? No thanks. I shouldn’t have be paying for something because other people drive an irresponsible vehicle. I agree that overly bright headlights and driving lights on some newer models of vehicles, as well as available aftermarket bulbs, are terrible to drive toward and even be followed by. Driving towards anything on the roads with overly bright lighting is terrible. In fair weather it can be bad but add in rain and the “white wash” effect on a windshield and it is down right scary. One comment above also pointed out that it is really difficult to see the turn signals on these overly bright head-lighted vehicles and that person is absolutely correct. 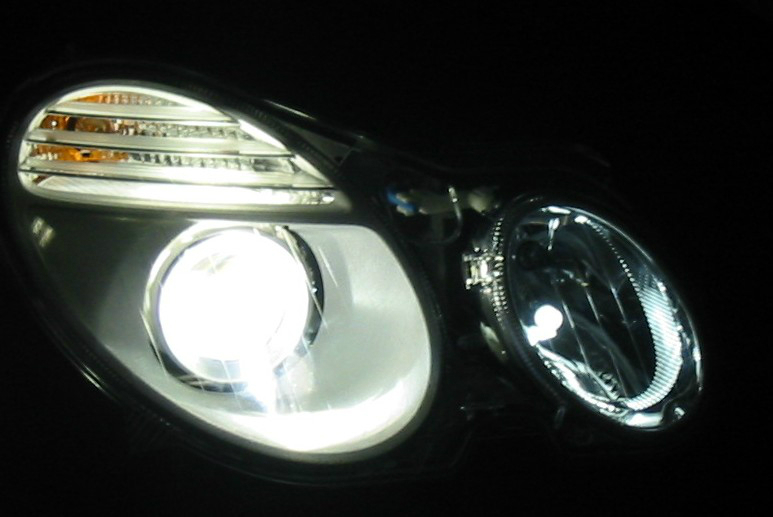 One car with overly bright headlights is negatively affecting the safety level of hundreds and even thousands of fellow drivers, bicycles, and pedestrians. Good lighting on vehicles and slower speeds, especially at night and in inclement weather, are the best routes to take for safety and not this path to every car having brighter headlights. I am also a strong proponent of lower night time speed limits and very strong penalties for violators of speed limits. Absolutely no one should care that a person or product get someplace faster on our roads when we have to sacrifice so many peoples driving safety and comfort in the process. The government and related industries need to fix this problem and fast. The Brightless Is Fine, Use some Common Sence and point the light DOWN ON THE ROAD, Right In Front Of The Auto, Come On Automotive Engineer’s, I Have Faith In Your Quality, Now Get The Job Done!!! I agree with you to a point but roads and vehicles have too many variables to take overly bright headlights and just point them down. One good bump in the road or a rise and a curve and those overly bright headlights are blinding people. Pickup and SUV’s are really bad on cars. If you don’t drive off the road for lack of seeing you have to get on the brakes so you can slow down enough to just get thru the situation of not being able to see at 45-55 mph. Then you get “camera flash spots” and maybe a headache to wrap things up. Good even lighting and slower speeds at night and in poor weather is much better than overly bright headlights. The problem seems to be that the law (I think) still measures brightness in wattage – not lumens. It is the visible effects the bulbs have, not their electrical make-up. Is a horn not judged by its loudness rather than the amps to make the noise? As for cyclists having occulting/flashing lights, at least they are not confused for mopeds, scooters or motorbikes. Ban the bright lights! If people can’t see with halogen lights they shouldn’t drive at night! All cars built with super-bright xenon or LED’s need to be recalled and fitted with proper lighting. Well put Jamin Jef. An example, Dodge has some of the worst headlights on new to three year old trucks and SUVs, their cars are low so not too terrible but bad. Chevy and GMC trucks the last two years are terrible. Ford trucks are so tall as to blind people even with so-so lights. Trucks shipped tall from the factory and their “spotlight bulbs” are terrible for fellow motorists oncoming traffic or being followed by them. God help the person that has one of these trucks behind them in stop and go traffic. Hi. Here in the states we have the same problem, worst it seems to me on those horrid Acura SUV cars with 10, count them 10 headlights, all aimed directly into my eyes as they come towards me. All I can do is hold my hand up to block these offensive weapon lamps and hope I don’t run headlong into the creep. Would serve him right and my Bronco would not be fatally damaged. Another hazard, to them at least, is the new police lights. Police in black outfits directing traffic at night beside their cars blaring out blue LED laser light, again blinding me completely, I fear running over a cop cause I flat never see him till he yells at me. Yes, I’m 55. I also have 20-20 vision in my left eye. Right not as good due to an injury but good enough to target shoot with so….it is not me or other victims of these laser, or led or hid headlights. Halogen was good enough growing up. Acuras are bad. Subaru seems to have upped their headlights to overly-bright, blinding status a some cars ,too. Dodge and Chevy trucks are terrible the last year or two. Ford trucks are getting bad, too. The worst in the Pacific Northwest is a lot of people want to drive a big truck or SUV for no other reason than ” just because” and their headlights blind people in regular height cars. Too add, so many people the last year or so have been driving with their headlights and driving lights on around our well lit city streets. The speed limit is 30 to 35 mph. All they are doing is blinding other motorists, cyclists, and pedestrians. It is so comforting to be in touch with a community that understands what I am suffering with. My life is much more dangerous than it was a few years ago, with the increased prevalence of dazzling lights affecting me as a pedestrian, occasional cyclist, motorcylist and car driver. I should mention that my eyes have been thoroughly tested and (with glasses) I have 20/20 vision and no sign of cateracts – which you may be accused of having. In recent years I have been using polaroid glasses (with all the usual filters) when I go out. These allow just 35% light through, but this is not enough. As more and more vehicles have dazzling lights I am seriously considering going down to 20% or even just 10% light, but the danger is then that I won’t be able to see stuff that is not lit – especially at night. By the way, I’ve been told mountaineers use glasses that let through just 5% light. I can’t understand how these lights came to be unleashed upon us by such ineffective government road safety “authorities”- whether in Europe or the U.S. (I drive in both). Yes, I’m in my early 50’s and MAYBE there’s an age factor here, BUT the fact remains that these lights are literally blinding drivers, like myself, that never had issues with older headlights – which were perfectly adaquate. These lights have changed the way I drive. I find myself averting my eyes from where they should be. Sometimes I have to block direct glare with my hand. Worst case scenario I have to stop! Night driving NEVER bothered me up until about 2 years ago when this madness started becoming mainstream. Now it causes me great stress and I avoid it – as a matter of fact I don’t even like walking around as a pedestrian with these things.. These lights with their ridicolous brightness levels and sharp cutoffs that take you from near darkness to retina shocking overload are simply DANGEROUS and I can only assume it’s just a matter of time before there are enough accidents and enough evidence is accumulated to bring a serious lawsuit and have manufacturers and road safety authorities sit up and think again. Reading these comments is just firing me up even more… i thought i was angry with drivers of those new vehicles with the blinding white lights; now i wish i were a big burly male, i would like to get out and punch their lights out! I was driving on a busy main trunk road when I noticed a vehicle coming behind me showing four BLUE LIGHTS at two different levels, thinking this was maybe an emergency vehicle with malfunctioning lights I pulled into a lay by to allow it to pass as the oncoming traffic was very heavy and was quite annoyed when a four wheeled pick up passed with two of the lights on the roof and two on the radiator. I did a quick survey of Facebook friends regarding bright lights and I had 15 people within half an hour saying how much of a problem they were. In the UK the authorities still seem to be in denial mode, with the view that bright lights are good for safety. It’s obvious that these bright lights are bad for safety since a proportion of people are covering their eyes, turning away or closing their eyes. For those who can tolerate looking at the lights they are losing the ability to see anything in the darkness because the glare is masking those areas. The developers of the LED lighting started out with a technology that offered energy savings and this was turned by the manufacturers into a brightness war where the colour temperature and luminance was increased to levels several times higher than the conventional 55W bulbs. The regulatory authorities are way behind and I think it will take a few years and unecessary collisions before they accept that there’s a problem. The problem is that the auto manufacturers, at least in the United States, are in bed with Congress, therefore, Nothing will be done to stop these lights from coming off the assembly line. The other problem is that most Americans… try to keep up with the Jones’, so to speak. Americans are lining up at dealers to buy these new automobiles, regardless of this pandemic that is not only dangerous to other drivers, but results in fatal accidents. BOYCOTT ALL AUTO MANUFACTURERS UNTIL THEY DISCONTINUE THESE STUPID HEADLIGHTS.